So begins the first of 19 pages handwritten by Bill Bowerman to document his trip to Australia for the 1956 Melbourne Olympics. 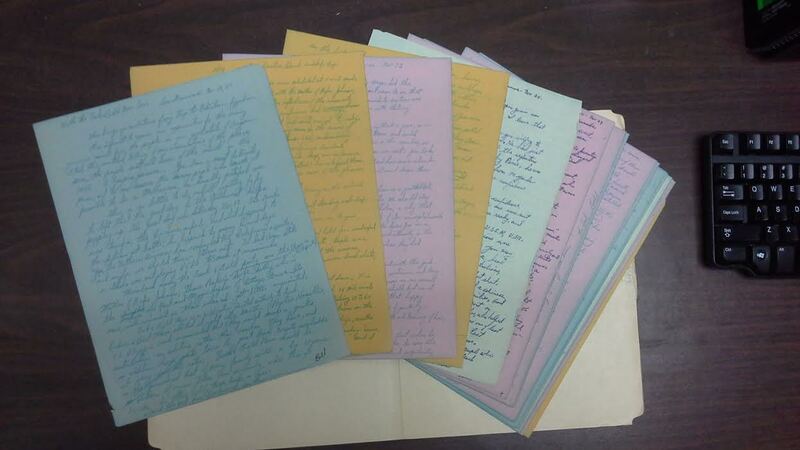 This collection was recently rediscovered in the University Archives while processing correspondence and other papers from various University of Oregon coaches from the post-war period of the 1950s and 1960s. The first two pages of the journal detail the journey to Australia, as Bowerman reflected on recent events in track and field while waiting for fog to clear in San Francisco and again during his time in the air between Canton Island and Fiji. His initial thoughts reveal frustrations with the aid scandals that had begun to emerge in the Pacific Coast Conference, the challenges of trans-Pacific travel during the era, and observations about the stops along the journey. When Bowerman arrives in Melbourne, his first recollections detail his meeting with Jim Bailey, the Australian runner who, while racing earlier that year for the University of Oregon, became the first person to run the mile in under four minutes on American soil during a dual meet in Los Angeles. Bowerman notes that Bailey had been running with an injured foot during the Olympics — as well as the cold reception Bailey had received from many Australians for defeating world-record holder and compatriot John Landy during that dual meet. The last pages afford Bowerman the opportunity to reflect back on the track and field competition from Sydney, as he relaxed in Australia’s largest city prior to his journey home. During his time in Sydney, he was able to attend Bailey’s wedding — after being dragged fishing at 4 am by a taxi driver the morning of the ceremony. In the end, Bowerman’s 1956 Olympic journal provides insights into the mindset of the young coach, who had taken over as Oregon’s head track coach less than a decade earlier. 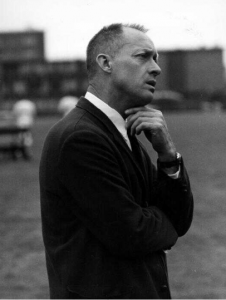 The journal reveals how this journey provided a seminal experience that would reflect in Bowerman’s coaching philosophy throughout the rest of his life. 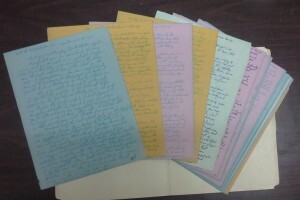 Coaches Papers, Box 30, in Department of Intercollegiate Athletics records, UA 196, Special Collections & University Archives, University of Oregon Libraries, Eugene, Oregon. “Melbourne/Stockholm 1956: Athletics,” Olympic.org, accessed September 25, 2015, http://www.olympic.org/content/results-and-medalists/gamesandsportsummary/?sport=32588&games=1956%2F1&event=.